Tibial osteotomy is an operation where the load through the knee is moved away from the inner aspect and towards the outer aspect. 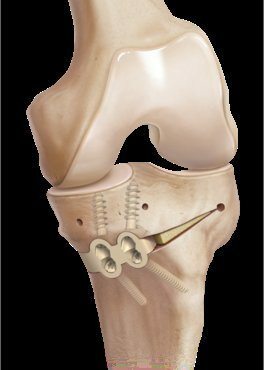 The operation used to protect the articular cartilage in cases of osteoarthritis. Tibial osteotomy is also called a bone wedge operation, since you either do have taken out or inserted a bone wedge in the shin. The tibial osteotomy can be useful if you have osteoarthritis, which means damaged cartilage on the inner or outer site of the knee. 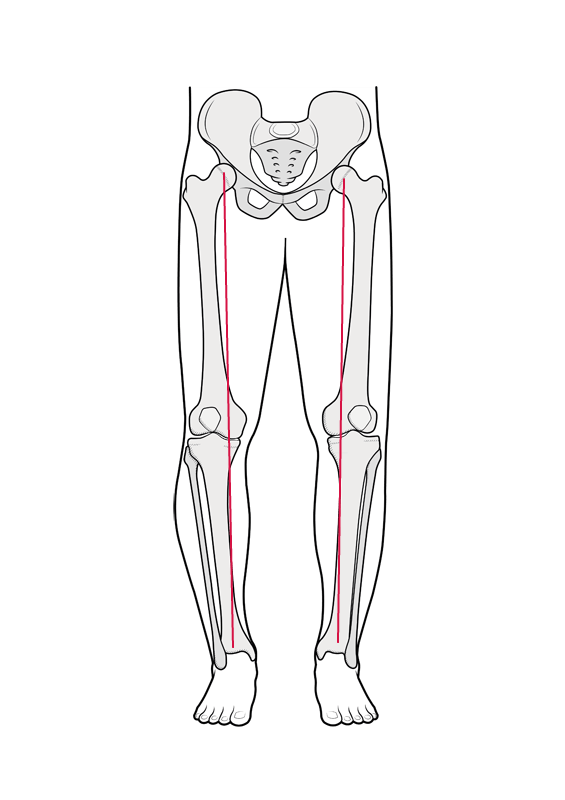 If you are bow legged you will have increased load on the inner site of the knee (varus knee) and just upper site if you are knock legged (valgus knee). By a tibial osteotomy the angle in the knee is corrected and the leg is realigned. This means that the high forces on the damaged part of the knee is moved towards the other site of the knee where the cartilage is good. By unload the damaged cartilage the pain can slowly resolve and the damaged cartilage can regenerate over time. 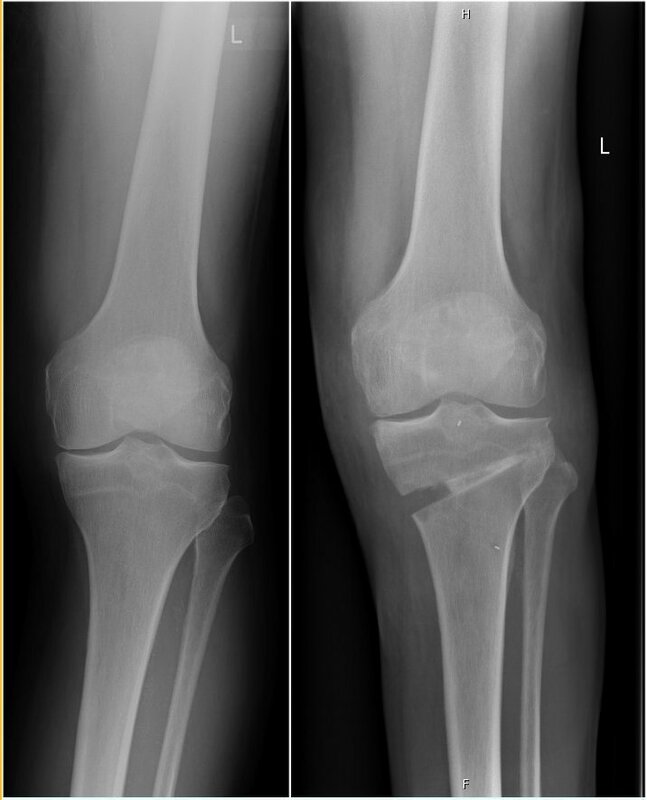 If you are a tibial osteotomy the time for a total knee prosthesis can be exposed a number of years. Precisely how long is difficult to say, since it depends on the severity at the time of the surgery, but from 5 - 20 years is realistic. The earlier the longer. Before the surgery you have to undergo a special x-ray examination to see calculate the precise angle of correction needed. The information further down is in respect to when you are bow legged, since this is must more common. By the surgery the shin is opened on the inner site, and by using a special guide system the bone is cut 3/4 though and a plastic wedge is inserted that precisely corrects the preoperatively planned correction. By this the leg will get about a ½ cm longer. The plastic wedge is secured by four plastic screws. The plastic material very much mimic the bone and can be left and normally it should not be removed. The IBalance method is now 10 year old and is very secure and precise and has many advantages in comparison of using a metal plate. Sometimes a corresponding arthroscopy of the knee will be done. You will arrive to the recovery room and I will inform you about the surgery and you will receive the surgical report before you leave. During the surgery local anesthetic will be applicated around the knee and this last for some hours. Sometimes the anesthesiologist doctor will supplement by a nerve block. It is normal that you will have some pain for the first weeks and you can reduces this by placing some ice wrapped in a towel on the knee. This can be applicated for 20 minutes every hour. 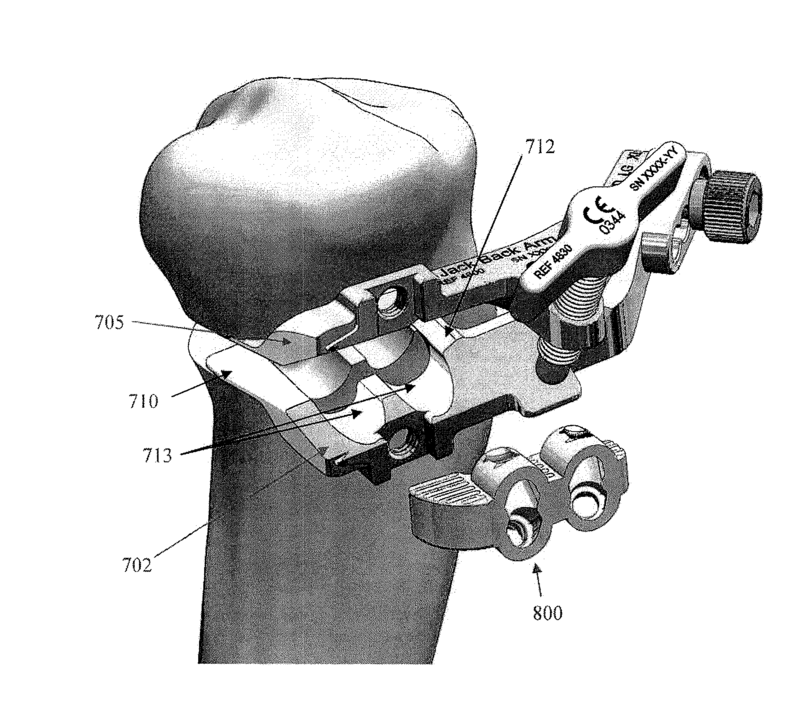 You will be mounted with a brace where you will be able to bend your knee. This brace is going to be used for 8 weeks and is going to protect you leg to brake until the bone has healed sufficiently. After 2 weeks the brace can be opened safely when you sit in a sofa. After 4 weeks you can omitted the brace while sleeping and in the bath. The first 2 weeks you are only allowed to load your leg with 5 kg and after the 2 weeks you are allowed to load by 20-40 kg (if you are in doubt how much this is then take a bathroom scales). After 4 weeks you are allowed full weight bearing. You have to expect that the lower leg including the foot will get swollen the first weeks after the operation. It is also common to get some bruises and some stinging (can be reduced by NSAID ointment). To prevent deep venous thrombosis you have to take a preventing pill once a day for 10 days. It is common that you need to take some strong painkiller after the surgery such as morphine and morphine often cause constipation. Therefore it is a good idea to prevent constipation by taking some laxatives. The site effect for this can be epistaxis and bruises and if this occurs you should only take the pill every second day. You are likely to get a palm large area with less sensation on the lower limb. Rarely some patients experience severe foot pain for the first 2 weeks. 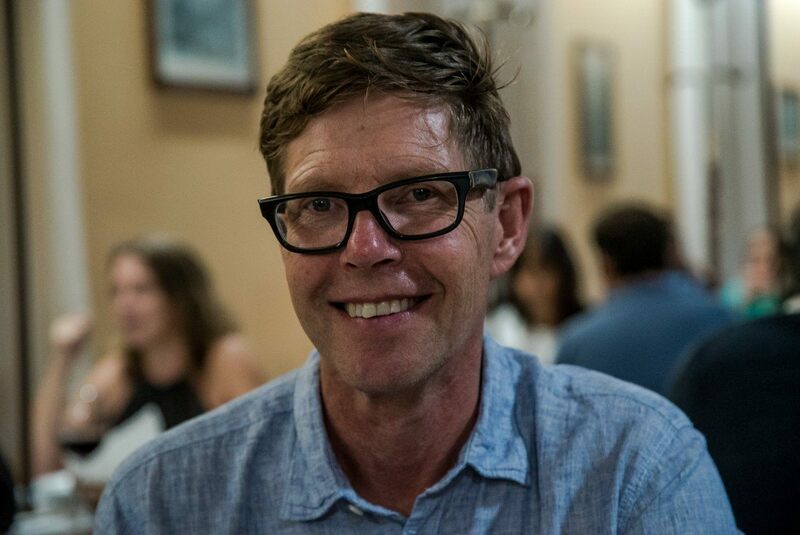 So why chose a tibial osteotomy instead of a knee prosthesis or a uniknee? First of all a knee prosthesis is not a new knee, but a combination of metal and plastic to restore the weared cartilage. A knee prosthesis is a major surgery and it is always better to preserve your own knee if possible. The results after tibial osteotomy seems today to be better than previously and better compared to having a knee prosthesis. One advantage is in average better range of movement. In general 20% says they are happy, 70% are good and 10% is bad and needs a knee prosthesis. Below you can see the IBalance Tibial Osteotomy system, which are having many technically advantages compared to previously known methods. First of all it is more secure and precise. Since the plastic (PEEK) wedge is placed in site the bone is the no plate to protrude and bother. The plastic material can be left in place. This means no need for further surgery and in case you later need a knee prosthesis the wedge can still be left in place. Du henvises til genoptræning som typisk starter 14 dage efter operationen.Træningen sigter mod at genoprette bevægeligheden i knæet og genopbygge muskulaturen i benet og genoprette balancen.Dit liv vil i en periode være besværliggjort og du vil i specielt de første 2 uger have svært ved at komme rundt med krykkestokke, fordi du ikke rigtig støtter.Du må først genoptage bilkørsel, når du i relation til benet kan føre bilen sikkert ogdette er typisk 4 uger efter operationen, dog lidt hurtigere for venstre ben end for højre ben.12-14 dage efter operationen skal du have fjernet trådene hos din egen læge. Du skal have taget røntgenbillede 4 uger efter operationen og efterfølgende skal du til kontrol hos mig, for at se hvordan helingen ser ud på røntgenbilledet. Der vil også være en kontrol igen 3-4 måneder efter operationen. Det er ikke ualmindeligt at der går mange måneder inden knæet falder til ro efter operationen. Rarely postoperatively infection can occur, but in those cases it is seriously and need instant treatment. In rarely cases will the bone not heal and new surgery is needed.